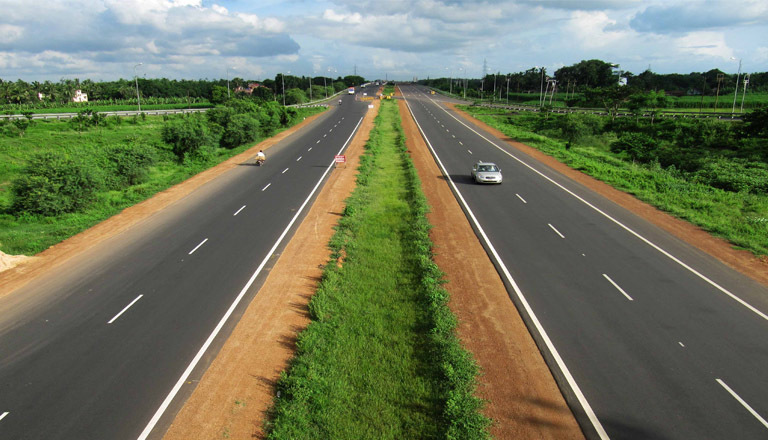 Kerala Infrastructure Investment Fund Board (KIIFB), a statutory body under Finance Department, Government of Kerala is constituted under the ‘Kerala Infrastructure Investment Fund Act, 1999’ (Act 4 of 2000). Comprehensive modification of the Act and Scheme has been made through an amendment Ordinance in August 2016.
Who all are in the Governing body of KIIFB? The FTAC helps to ensure that all investments of the fund serve the purpose and intent of the Act and that there is no diversion of funds of the Board. It comprise of three to five members including a chairperson. The FTAC will have a two-year term and the members cannot be removed either by the government or the KIIFB. At present FTAC is chaired by Mr. Vinod Rai, Former Comptroller and Auditor General of India. Ms Usha Throat, Deputy Governor (Retd. ), Reserve Bank of India, and G Padmanabhan, Executive Director (Retd. ), Reserve Bank of India, act as members. What is the Objective of KIIFB? KIIFB seeks to raise funds from outside of state revenue to finance infrastructure projects. It has special focus to provide investment for projects in the sectors of Irrigation, Roads, Power, Water Supply, Inland Navigation, Ports, Solid Waste Management and Drainage. This also includes major land acquisition needs of the State. In other words, the investments projects envisaged by KIFFB ranges from construction of roads, bridges, and school classrooms to big ticket physical infrastructure. What are the Major Infrastructure Projects under KIIFB? Kerala Fibre Optic Network : Digitally Connecting 33,000+ government institutions and free internet to 2 Lakh Households. Petrochemical and Pharma Park, Kochi : 600 Acres of Industrial Park for Chemical Products. Coastal and Hill Highway : Connecting Kerala via 1800 kms+ Highway. Transgrid 2.0 : Power Highway : Creating High Capacity Transmission Lines. Life Science Park, Thiruvananthapuram : 125 Acres of Healthcare, Herbal, Agriculture & Biotechnology Zone. Hi Tech School Programme : Introducing 45,000+ Smart Classrooms. How Funds are mobilized through KIIFB? Its main source of the fund is general obligation bonds against unconditional government guarantee and revenue bonds with structured payment mechanism to be issued by the state government. The Government guarantees the payment of the principal and interest of any fund proposed to be raised by the Board. The Central government has set limits to the borrowing capacity of states by implementing Fiscal Responsibility and Budget Management Act. This has left little room for the states to borrow funds from the market. KIIFB is a financial innovation to bypass the Central Act to raise funds for the need of state. How will the state government repay money raised? Under the KIIF Act, KIIFB is eligible to receive a share of Motor Vehicle Tax (MVT) and Petroleum Cess collected by the State Government. The structure of regular cash flows is mainly from a share of the Motor Vehicle Cess, (which started with 10 per cent in 2017-18 and rising up to 50 per cent share by 2022) and a minimum of Rs. 1 per litre of petrol sold in the State. This comes to almost Rs 1,200 crore every year. This, along with cash flows from revenue generating projects executed through KIIFB (revenue being interest on loans provided by KIIFB) will go for repayment of funds raised by it. KIIFB has so far mobilized a total of Rs. 9927 Crore from Masala Bond, NRI Chitty, Petroleum Cess, Motor Vehicle Tax and NABARD loan (as on March 31, 2019). How many projects have been sanctioned by KIIFB? At present, 533 infrastructure development projects of total worth Rs 42,363 crore have been sanctioned under KIIFB. Out of this, 238 projects worth 9928 crore have been tendered, and in 193 projects worth 7893 projects, work has been started. KIIFB is considered as the brainchild of Kerala Finance Minister Dr. T.M. Thomas Issac. Shri. Sanjeev Kaushik, IAS [Principal Secretary, Finance (Resources)] is the Deputy Managing Director of KIIFB. What are the criticisms against KIIFB? The lack of accountability is a serious criticism against KIIFB. The funds the agency mobilises and spends is outside the purview of the State Legislative Assembly. If all the projects materialise as envisaged by the government, KIIFB will have to find Rs 1 lakh crore over a period of 10 years to repay the debt at nine percent interest. The cess on petrol, diesel and vehicles earmarked for KIIFB may not be sufficient even to pay the interest on the debt incurred by KIIFB. The Government is already facing financial crunch for past few years. The GDP growth is slowing. With the salaries and pensions alone accounting for more than 70 percent of the state’s annual revenue, the state government is left with no money to meet even the non-plan expenditure. The gap between revenue receipts and expenditure has been widening over the years. As the situation worsens, government may not be able to repay its debt obligation. Most of the projects sanctioned by the agency so far is upgradation of schools, colleges and hospitals and construction of rural roads, which does not generate any money income. Government uses KIIFB to invest in loss-making Public Sector Undertakings (PSUs). Kerala has 96 PSUs under different departments. Investing in loss making PSUs is not a good strategy. The Pravasi Chitty or NRI Chitty is a fund-raising instrument of the Kerala Infrastructure Investment Fund Board (KIIFB). It aims to mobilise Rs 10,000 crore in three years through Kerala State Financial Enterprises (KSFE), the non-banking finance company of the state government. The major advantage of NRI Chitty is that it allows the investors/subscribers to be part of the development of the state without any financial liability. It was initially introduced in UAE. A portion of the turnover of the Pravasi Chitty would be invested in the bonds of KIIFB, in the name of KSFE. Enrolment to the Pravasi Chitty was started in October 2018 and all related procedures, from enrolment to auction, are digital. The subscribers are given the option to select any of the KIIFB-assisted projects in which their money could be spent. All subscribers will get a life insurance cover from the LIC during the chitty’s tenure. If the subscriber dies without or after bidding the chitty, LIC will pay the rest of the instalments.